What is a "natural childhood?" According to a new ballot initiative that could soon hit Colorado voters, preserving childhood innocence means taking smartphones out of the hands of kids. Denver-area father of five Tim Farnum says he drafted the Preservation of Natural Childhood initiative after watching his two youngest sons (ages 11 and 13) act like addicts in withdrawal when he tried to limit their smartphone time. In an interview with the Washington Post, Farnum, a local anesthesiologist, compared the impact of smartphones on kids to tobacco and alcohol. "We have age restrictions on all those things because they’re harmful to kids," Farnum told the Post. "This is no different, in my opinion." After looking at research on children and screen time, Farnum was concerned enough to launch the group PAUS: Parents Against Underage Smartphones. On its website, a statement says the group is comprised of "parents, grandparents and concerned citizens standing together arm in arm against the destructive force of continuous internet use on our children." The Colorado group's next meeting is June 24 at the Englewood Recreation Center in the suburbs of the mile-high city. Its ballot initiative aims to ban the sale of touchscreen phones to kids under 13 — and make retailers ask adults whether a new phone is being purchased for a child. NBC News requested comment from Farnum but did not receive an immediate response. The effort has received mixed reviews in the Rocky Mountain state, where some parents support limiting screen time for kids while others say the government shouldn't be in control of who gets to use a communications device. While the Colorado legislature gave an initial green light to the PAUS effort, the group still has to hit the streets to collect 100,000 in-person signatures to get the initiative on the ballot. 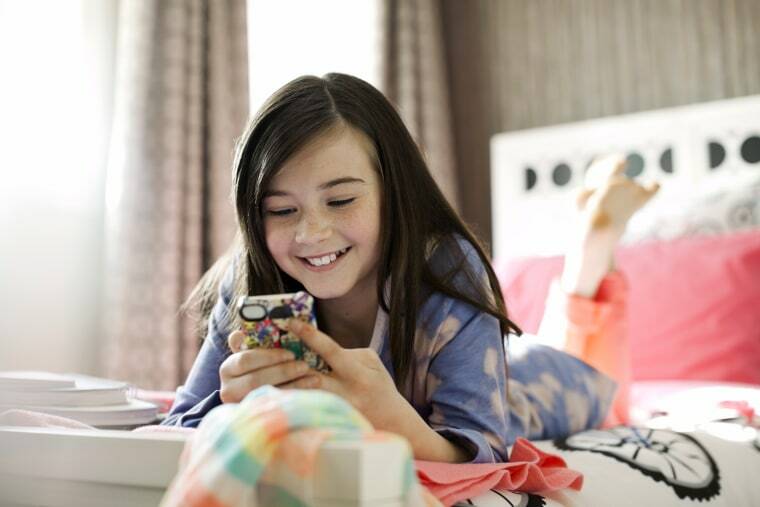 For Dr. David Hill, chair of the Communications and Media Executive Committee at the American Academy of Pediatrics (AAP), the group's fight against child smartphone use is "well meaning," but the evidence showing that phones cause developmental problems is not quite there yet. "There is a correlation between unhealthy behaviors and extensive electronic media use, but it’s not clear what the cause is," said Hill. "While kids with depression and anxiety may use social media or electronics excessively, it’s not clear which comes first." In November 2016, AAP released a report titled Media and Young Minds, which suggested that parents should limit screen time for kids aged 5 and under due to "multiple developmental and health concerns" associated with excessive media consumption. But Hill said that while frequent anecdotes come in from distraught parents, more research is needed to show what exactly is causing the problems faced by modern kids. "We do hear stories about kids who display addictive type behavior around cell phones," said Hill. "The devices provide a dopamine boost, and anything that gives you that some people are going to use to the exclusion of healthier activities." "That said, the psychiatric establishment has not decided that there is such a thing as cell phone addiction," Hill said, noting that the creators of the Diagnostic and Statistical Manual of Mental Disorders (DSM-5) have called for further study into the possible risks of smartphone addiction. And Yalda T. Uhls, a professor at UCLA's Children's Digital Media Center, said that while kids can be vulnerable to misuse of technology because they are still developing self-regulation and social skills, the Colorado initiative may be overdoing it in terms of regulation. "Parents, who know their kids best, may have good reasons to provide their child a phone," said Uhls, giving one example: "Low income families or single parents may need the phones to connect with their child — some of whom need to take public transportation to school or can't be supervised in the same manner as parents with more means." Both experts agreed that parents should take an active role in both purchasing and monitoring so that kids learn to use their smartphones in a healthy, responsible manner instead of being glued to a screen.